Did you know that more than 3 billion batteries are thrown away every year in the United States? 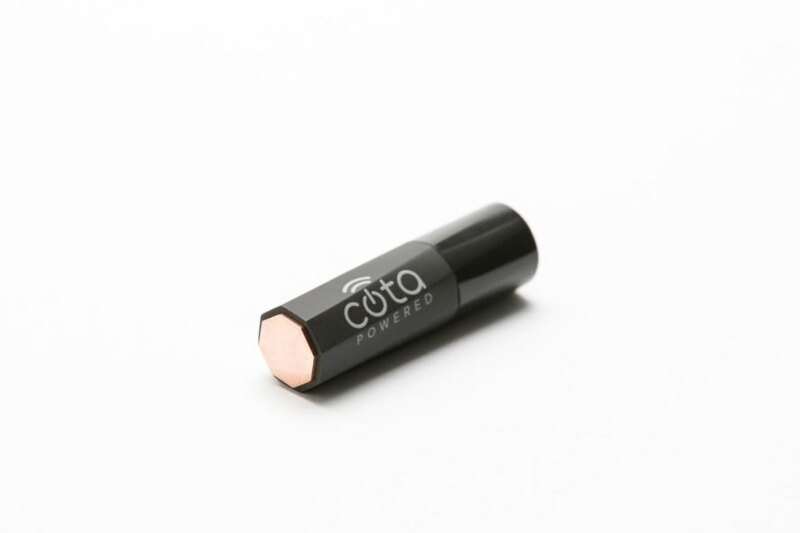 The Cota Forever Battery is the world’s first wirelessly-powered AA battery – and it offers a more sustainable, convenient alternative to traditional disposable batteries. Designed by Ossia the battery enables any device that requires AA batteries to be recharged from a distance through the air. Ossia’s Cota products are based on a wireless technology that broadcasts a precise, powerful RF signal to any device which contains a Cota RF antenna. The RF receivers then convert that signal into effective power. The Forever Battery takes this a step further, inserting the RF receivers into a AA battery – a familiar household item that could ease the transition towards wirelessly-powered devices. As exciting as the technology sounds, it will likely be years before homes are outfitted with smart AA batteries. The first adopters of Cota’s technology are likely to be large commercial operations, like factories and stores. Even before wide release, Ossia’s Cota products are already making news. Cota was awarded a 2016 CES Innovation Award in the “Tech for a Better World” product category, and Cota Tile, a wireless transmitter designed to mimic a ceiling tile, was the winner of the 2017 CES Best of Innovation Award. No thanks. I don't want more RF radiation in my home environment or anywhere for that matter. The Cota Forever Battery can be used to retrofit any AA-battery compatible device with wireless charging. The Cota AA battery is still years from being available to the public.